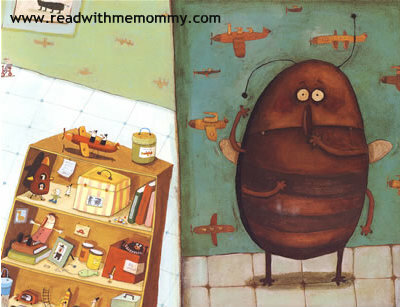 Beetle Boy is a story written by Lawrence David, illustrated by Delphine Durand. 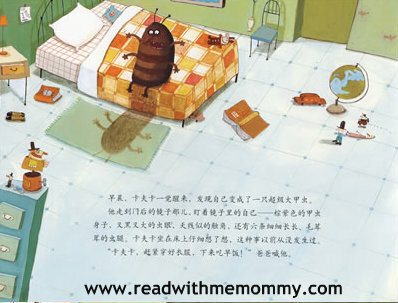 Originally written in English, this is the chinese translated version. The Story. 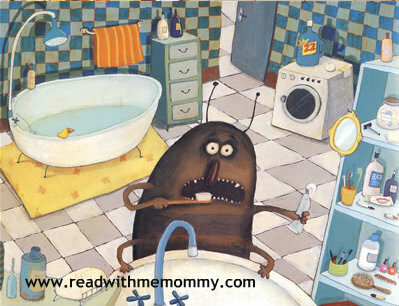 Gregory Sampson woke up one morning and found that he had turned into a giant bug! A purple-brown beetle. But no one notices the metamorphosis-not Gregory's parents, not his little sister, not his teachers, not even the kids at school. Only his best friend, Michael, noticed the change. And Michael wants his friend back just as much as Gregory wants to be his old self again. But why did he go from boy to bug? And why don't people seem to care? ....Read the book to find out..
As parents, sometimes we are too caught up with the hustle and bustle of life or overly focused on providing our child the best material needs, that we could overlook their psychological needs. 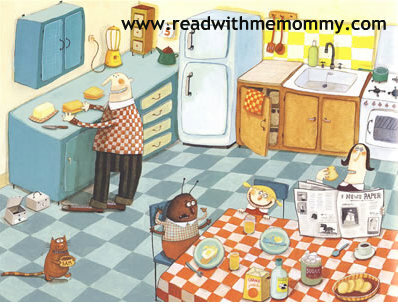 This book is a poignant story that reminds us parents about our child's need for love and recognition. This book is in hard cover. Simplified chinese. No hanyu pinyin. For reading to the child, this book may be suitable for 5 years up. 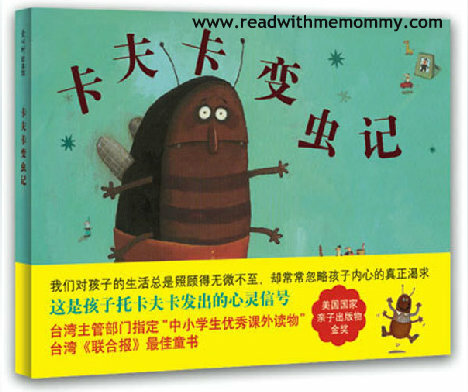 For self-read, the book may be suitable for children 10 year up.